These five little tips can make a huge impact when you are trying to achieve an angelic glow in 2017. Try to be aware of the language you use when you describe your appearance and your complexion. We all do it, but try to curtail phrases like, "My pores are disgusting" and "I look so old and tired." Words and thoughts are powerful and can deeply influence skin care outcomes when you are working with an esthetician on achieving your skin care goals. Try to adopt a positive and hopeful attitude about your skin, and realize that being negative will not help you in anyway. Just like a personal trainer doesn't want to hear your complaining about your "rolls" or how much you "hate your thighs," your esthetician doesn't want to hear you go on and on about how much you hate your skin. Keep in mind that as estheticians we got into this field to help you and usually we have also struggled with our own issues, so we get it — trust us and the process. Sure, there are some drugstore gems out there. 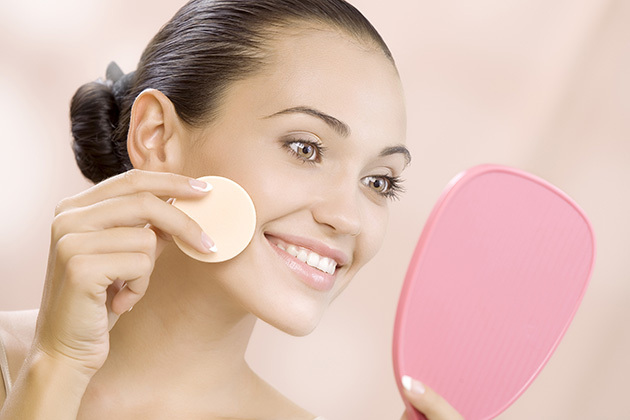 But keep in mind that if you have serious concerns for your skin, you need serious skin care. Professional, spa-grade and prescription-grade products are usually the fastest route to positive outcomes. Consulting a licensed esthetician at a spa or medi-spa is usually your first step to success. Professional-grade products guarantee higher concentrations of active ingredients that create the changes you're looking for. Professional-grade prefects also have advanced formulations in terms of efficacy, quality and the added benefit of a skin care expert to walk you through the entire process. Many people operate under the misconception that skin health and diet are unrelated. The truth is, junk food (aka processed food), sugar, excessive caffeine and a lack of fruits and vegetables will negatively impact your skin and/or slow the progress of your topical regimen. Our skin is the largest organ of our body and is connected to the body as a whole unit. What we put in our mouths will certainly affect what happens with our skin. Many dermatologists have actually written books about nutrition because they know that it seriously impacts the skin. Furthermore, most people are dehydrated. Water intake can play a major role in fixing common skin care concerns. Think about it this way: Whenever the skin is inflamed — i.e. red, hot, flaky, tight and just angry in general — water may be needed. Topical hydration in the form of serums and masks are a must, but internal hydration is also key. Remember: When there is a fire, we use water to put it out. Most likely, your acne and wrinkles did not appear overnight, so do not expect them to go away in a flash either. A professional esthetician will be able to analyze your skin and come up with a proper treatment plan that includes a regular treatment schedule for facials about once every month and a home care regimen for morning and night. Commit to six months to a year to get glowing, healthy skin. That may initially seem like a lot of time to achieve your skin care goals, but the time will go quickly, and before you know it you will have the complexion you always wanted. Just be patient and trust in the process. A typical skin cycle occurs once every 30 days, and old habits die hard. Give it a substantial amount of time, and the pay-off will be worth the wait. Also, be careful of your mobile device or office phone coming in contact with your skin and be sure to clean your makeup brushes as often as you can.